The first Ranking Series event of the year, the Ivan Yariguin, wrapped up in Krasnoyarsk, Russia, and here are five things that we learned from the "Toughest Tournament in the World." Even without their two best 97kg options, the aforementioned Sadulaev and 2018 European champion Vladislav BAITSAEV (RUS), Russia won a pair of Yariguin medals at 97kg and knocked out Kyle SNYDER (USA), the two-time world champion and Rio Olympic gold medalist, in the opening round. Shamil MUSAEV (RUS) reached the top of the podium, while Igor OVSIANNIKOV (RUS) finished with a bronze medal. They also scored a huge win from their “first-teamer” coming into Krasnoyarsk, Rasul MAGOMEDOV (RUS). Magomedov used a massive four-point throw to stun Snyder in the opening round but lost in the quarterfinals to Mongolia’s Batzul ULZIISAIKHAN, which ultimately knocked Snyder out of the tournament. After their trio of remarkable performances this weekend, Mongolia wrestled themselves into a conundrum at 68kg. 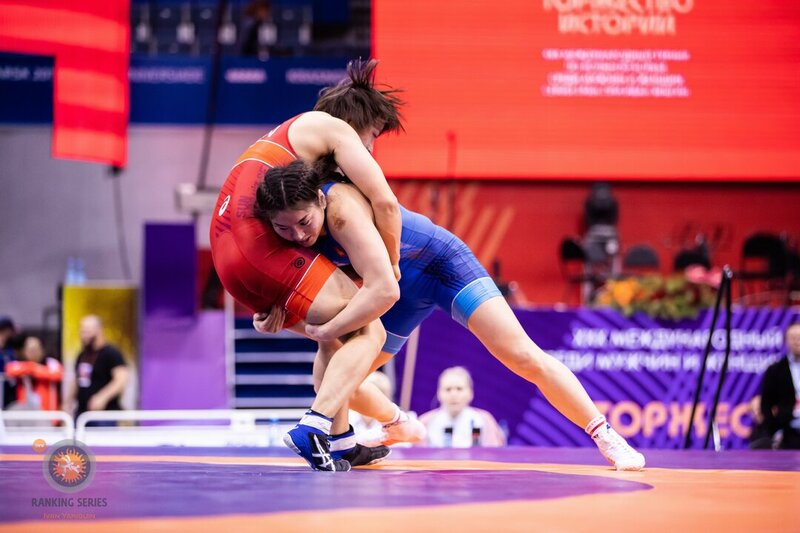 Mongolia showed that they have multiple women who can compete with the best wrestlers in the world, winning three of the four medals at 68kg, including qualifying a pair of wrestlers for the gold-medal bout. SORONZONBOLD Battsetseg (MGL), ENKH AMAR Davaanasan (MGL), and ENKHSAIKHAN Delgermaa (MGL) finished the tournament in first, second, and third place respectively. The trio of Mongolian women went 5-0 against non-Mongolian opponents and picked up wins over Russia’s four-time age-level world champion Khanum VELIEVA and Japan’s 2016 Olympian Rio WATARI (JPN), while also finishing ahead of Cuba’s U23 world champion Yudari SANCHEZ RODRIGUES. Turkey’s two-time world and Rio Olympic gold medalist Taha AKGUL (TUR) returned to competition after failing to medal at the world championships for the first time in his storied international career. Akgul made it to the Yariguin finals after shutting out 2018 world finalist DENG Zhiewie (CHN), 10-0 in the semifinals, but showed he has work to do after falling to Russia’s Anzor KHIZRIEV (RUS) 7-3 in the gold-medal bout. Akgul was in deep on several low-level shots, but Khizriev capitalized on a pair of crotch lifts in the final period and stopped the Turkish big man from winning his first Yariguin title. 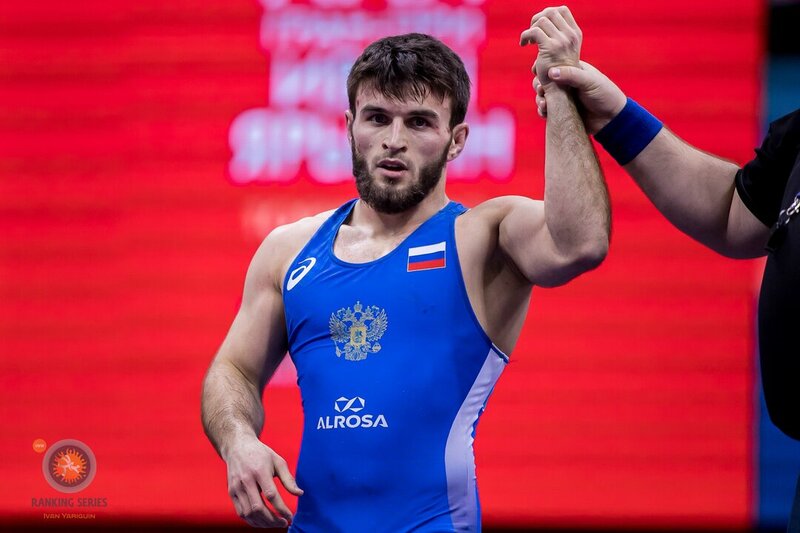 Gadzhimurad RASHIDOV (RUS) and Magomed KURBANALIEV (RUS) made their 2019 debuts at new weight classes, and even though they finished with bronze medals, they still need time to adjust to their new weight classes. Rashidov, the two-time world runner-up, moved up from 61kg to 65kg and went 2-1 on the weekend. Rashidov’s only loss was to eventual champion, two-time world bronze medalist, Akhmed CHAKAEV (RUS) in the semifinals. Magomed Kurbanaliev, the world and European champion, was the second world-class Russian who made his debut up at a new weight class. Kurbanaliev moved up from his 2018 European title-winning weight of 70kg to 74kg and went 3-1. His only loss was to Yakup GOR (TUR), Turkey’s two-time world medalist. 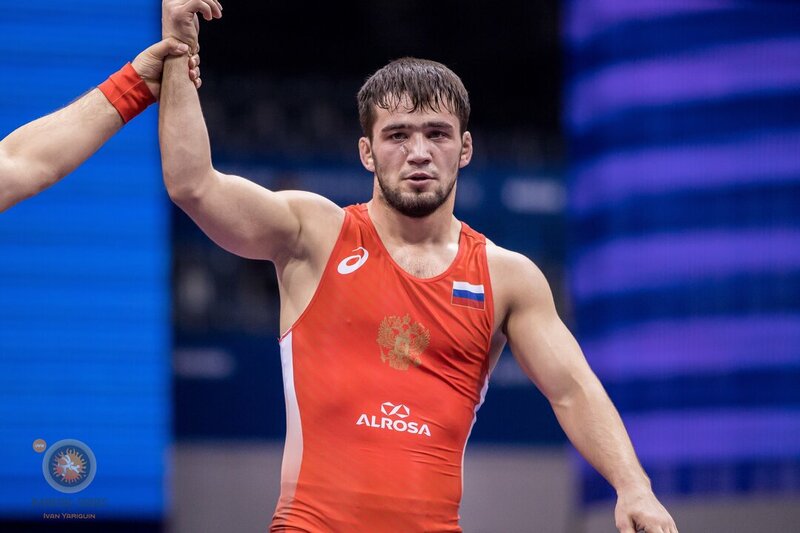 Russia swept the freestyle competition in Siberia, winning all ten gold medals that were up for the taking, but Dagestan proved that they are the most dominant wrestling region, in the most dominant wrestling nation. Dagestani wrestlers led the way with a mind-blowing seven gold medalists. The three weight classes where a Dagestani wrestler didn’t win a gold medal were at 57kg, 74kg, and 125kg. Anzor KHIZRIEV (125kg) and Muslim SADULAEV (57kg) were the two Chechen gold medalists, and Zaurbek SIDAKOV, who is from Ossetia, won the final gold medal.